Peter Stack is Managing Director of Amaris Hospitality. Peter has an established track record of developing and delivering strategies and programmes to reposition and transform hotel assets and brands to enhance their value and maximize performance. He was a key member of the leadership team that established Amaris Hospitality in 2015 and successfully delivered a strategy and plan which culminated in the successful sale of the Company's hotel assets to a range of leading international hotel investors, including LRC Group. During this period, Peter led the transformation and development of Amaris Hospitality's Accor division, which comprised 31 properties. Prior to that, Peter held a number of senior management roles with Jurys Inn over a period of 18 years with the business and successfully led the rebranding of a number of high profile Jurys Inn properties to international Hilton brands. Before joining Jurys Inn, Peter held positions with Forte Hotels and Jarvis Hotels. 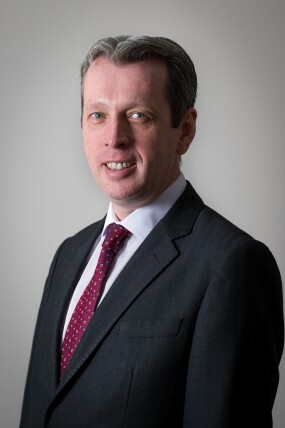 A graduate of Shannon College of Hotel Management, Peter holds a Master Degree from Strathclyde University and an Investment and Asset Management Qualification with Cornell University.